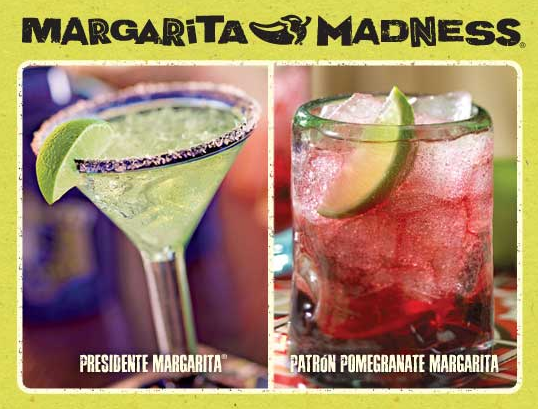 The World's Freshest Margarita, The Presidente Margarita and the Patron Pomegranate Margarita are three of the nine fantastic margaritas that Chili's has to offer during this promotion. They are great-tasting, ice cold and perfect for a night out with friends or a treat for yourself! 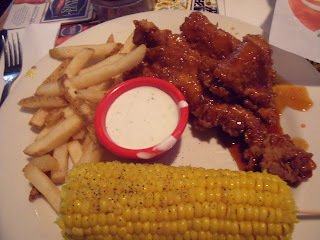 To enter, upload any photo on http://www.chilismargaritamadness.com/ of you and your friends/family/significant other at Chili's, it's that simple! One (1) winner will be randomly drawn every day and will receive one (1) $20 Chili's gift card. There will be 3 Grand Prize Winners, one on each of the following dates: April 30, 2011, May 30, 2011 and June 30, 2011. These winners will be awarded a 4-day/3-night all inclusive vacation package to either the Bahamas, the Dominican Republic or Jamaica! With a super friendly staff, great food, and colorful atmosphere, Chili's is easily one of our favorite places to take the kid's for a meal out. This past weekend, we went for a evening out sans kids for Margarita Madness! With an extensive menu of Margarita's, it took the hubby a while to come to a decision on which one he was going to try. He finally decided to go with the Patron Pomegranate Margarita (it sounded great-and he had never tried a Pomegranate Margarita). He LOVED it! It's sweet and refreshing - as opposed to tart taste that usually accompanies the standard Margarita. We also stayed a while to enjoy the great food! With the 2 for $20 menu, who could resist, right?! Great friendly service, delicious food and drinks, in a FUN atmosphere! Margarita Madness is the perfect way to kick off the Summer Season! NOTE: Drink Responsibly - Drive Responsibly - Designate Someone Who Will NOT Be Drinking As The Driver. Ready to kick off the Summer season with Margarita Madness?! 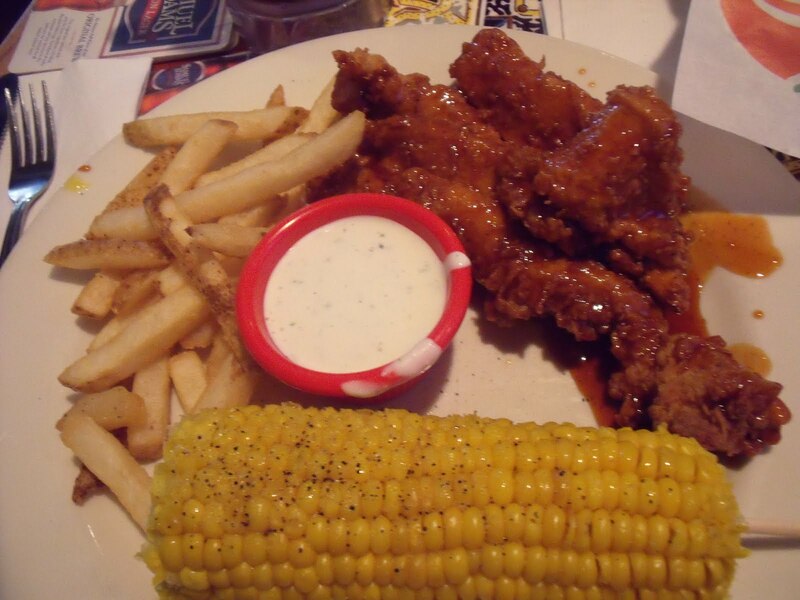 One Lucky reader will receive a $20 Chili's Gift Card! 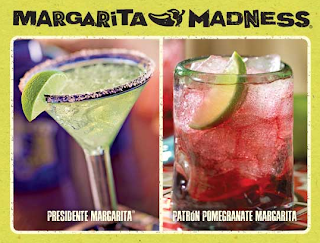 Leave a comment ~ CLICK HERE TO VIEW MENU Which Chili's Margarita would you like to try? The comment is considered your entry. Entry to this giveaway ends at 12pm PST June 28, 2011. Winner's are chosen randomly through random.org.The winner will be announced within 7 days of the giveaway ending and contacted through email. The winner will have 48 hrs. to respond or another winner will be chosen. DISCLOSURE: A gift card was provided for review/giveaway purposes. I am not required to write a positive review. The opinions I have expressed in this post are my own. I am disclosing this in accordance with the Federal Trade Commission’s 16 CFR, Part 255. I follow you in GFC and I'd like to try the Presidente Margarita. I entered your Shoebuy giveaway. I entered your Kmart giveaway. I follow on GFC and I'd like to try the Tropical Sunrise Margarita. 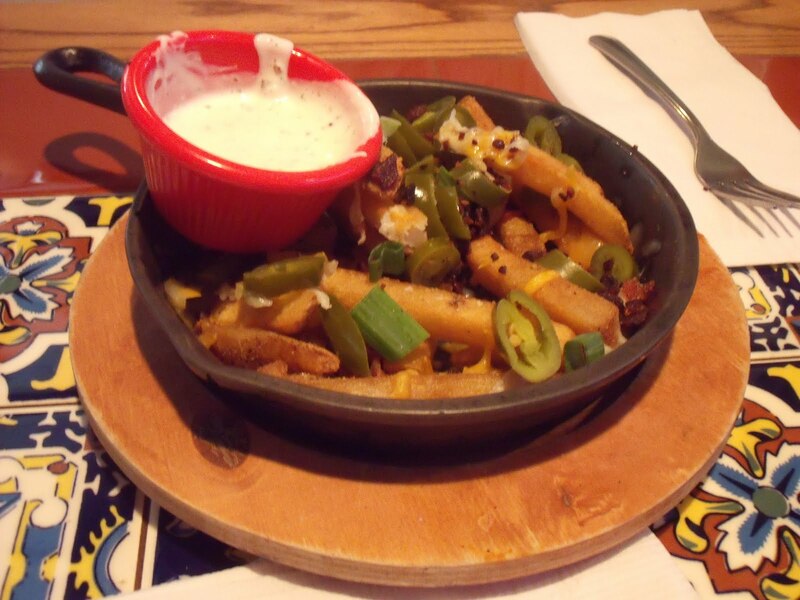 1 like Chilis over on FB as Shelly H.
2 like Chilis over on FB as Shelly H.
3 like Chilis over on FB as Shelly H.
4 like Chilis over on FB as Shelly H.
5 like Chilis over on FB as Shelly H.
6 like Chilis over on FB as Shelly H.
7 like Chilis over on FB as Shelly H.
8 like Chilis over on FB as Shelly H.
9 like Chilis over on FB as Shelly H.
10 like Chilis over on FB as Shelly H.